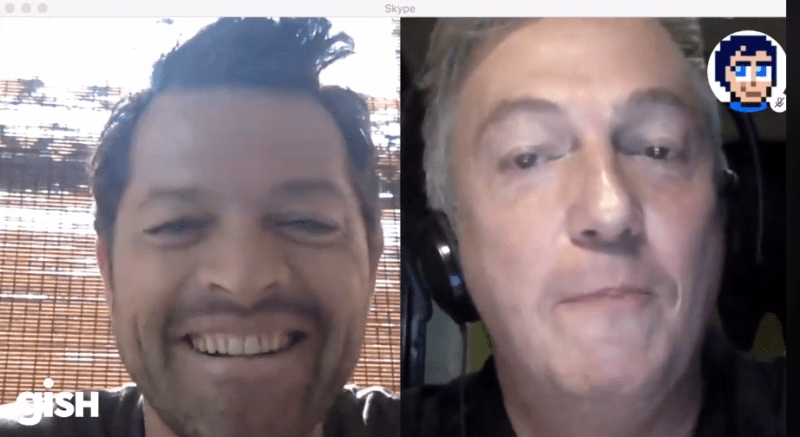 Misha Collins and Giles Duley announced this year’s GISH Change A Life today. Giles traveled to Rwanda, where he told us the powerfully moving story of a woman named Olive who lost her entire family during the 1994 Rwanda genocide and what she is doing to help others who survived. This year’s goal is to help Olive and her community by raising $100,000 dollars so they can get land and supplies for them to grow food. Also, Misha will be an honorary member of the (around) 100 women collective if he can prove that he can dig, so stay tuned for that photo. We also got updates on the two previous Change A Life recipients. In 2016, Gish helped two Syrian refugee families that were living in Lebanon and raised almost $250,000 to support them. They are all looking towards the future now. Two of the girls are living in Europe and some are in school furthering their education. In 2017, Gish helped keep the doors open on Dancescape, a dance school in Zolani, South Africa that provides sanctuary and hope to it’s students. This year, some students from that school that were helped last year are participating in GISH. You can donate to the 2018 Gish Change A Life recipient by clicking here! ‘Once Upon A Time’ Gets Season 7 Premiere Date! Samantha Smith’s “RISE” Campaign – Sam and Rachel Miner Talk About the Campaign!